How Prince Rogers Nelson died won't be known for certain until a toxicology report is released in the coming weeks. But media outlets have reported that law enforcement officials are investigating whether the 57-year-old Minnesota musician may have overdosed on opioid painkillers. If the reports are verified, Prince would be a high-profile victim of the overdose epidemic that kills tens of thousands of people in the United States every year. Prince's health first drew public attention when a private plane carrying Prince made an emergency stop at Quad City International Airport early on April 15, the Associated Press reports. An unnamed law enforcement official told the Associated Press they are investigating whether Prince overdosed on the plane. The official said Prince was given a shot of naloxone after the plane landed, which is a medication that can reverse an opioid overdose. Prince was declared dead less than a week later. 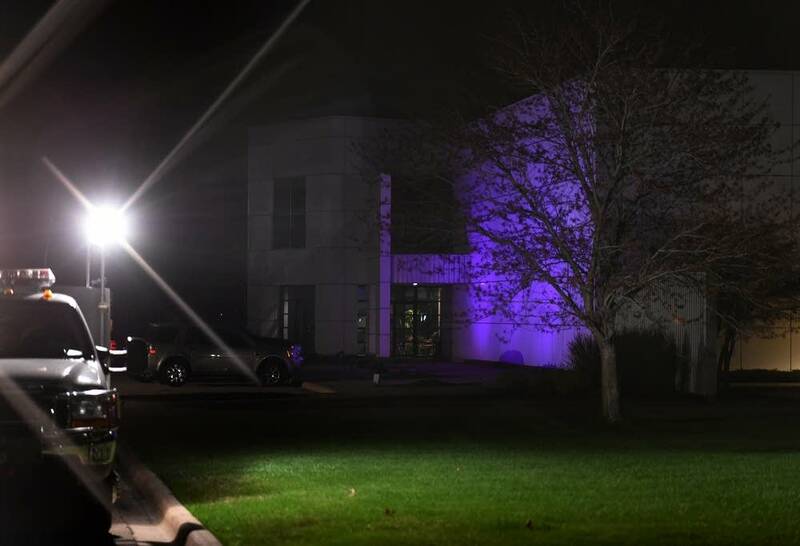 He'd been found unconscious at Paisley Park in Chanhassen. Carver County Sheriff Jim Olson said naloxone wasn't administered to Prince then. The results of a toxicology scan showing in more detail what may have killed Prince likely won't be available for three to four weeks. The unnamed law enforcement official told the Associated Press that prescription drugs were found at Prince's home after he died, but haven't specified what sort of drugs they were. Prince's publicists have not responded to requests for comment. He was well-known for abstaining from illegal drugs and alcohol. Opioids are a family of drugs that includes painkillers like Percocet and street drugs like heroin. An overdose of opioids can happen when too much of the drug is taken or when it reacts badly with other medications, said Dr. Paul Satterlee, who is an emergency room doctor at Abbott Northwestern. The opioids cause an overdose victim's breathing to slow down, sometimes to the point of unconsciousness or death. "Eventually, they have problems keeping their oxygenation up, because their breathing is so slow," Saterlee said. "Low oxygen to their brain, low oxygen to their heart. And it spirals from there." Signs of an opioid overdose can include pinpoint pupils, unconsciousness and slowed breathing. Naloxone is typically given to a person showing signs of overdose as soon as possible to temporarily reverse it. The naloxone wears off more quickly than opioids leave the system, so overdose victims are generally kept under observation for more than an hour after the naloxone is administered, Saterlee said. Unless the patient experienced brain or other damage due to lack of oxygen during the overdose, the victim will generally appear to recover quickly following the overdose. The Centers for Disease Control and Prevention (CDC) has described deaths from opioid overdoses as an epidemic. The number of Americans dying of opioid overdoses has risen steadily for the last decade and a half. About 28,700 people died of opioid overdoses in the United States in 2014, according to CDC data. In Minnesota, the number of people dying of opioid overdoses increased fivefold between 1999-2014. Prescription opioid painkillers were the cause of four times more deaths than heroin, which is also an opioid. Opioids became more common in the United States following a push from big pharmaceutical companies in the 1990s. They'd previously been prescribed for severe post-surgical pain or end-of-life treatment, but now were being prescribed to treat chronic pain. Some claims by drug companies that these opioids created less dependency were proven misleading in court. FDA-approved prescription opioids and illegal heroin have nearly the same chemical composition. Opioids are incredibly addictive. But the number of opioids prescribed in the United States has increased dramatically. The number of prescriptions for just drugs like hydrocodone and oxycodone have risen from 76 million in 1991 to almost 207 million in 2013, according to the National Institute on Drug Abuse. 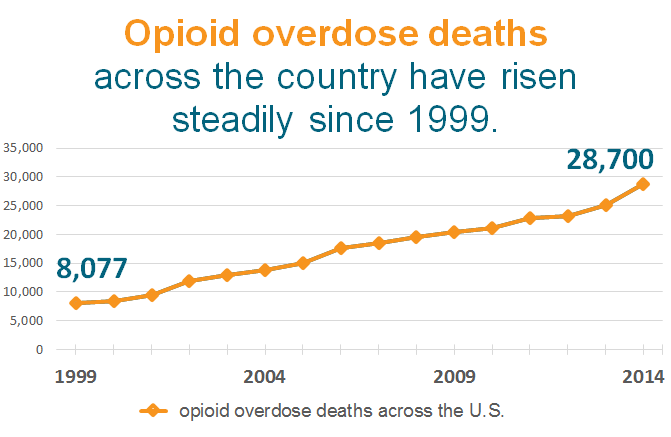 The number of overdose deaths also rose during the same period. In response to the crisis, the Minnesota Legislature passed a law in 2014 that expanded access to the medication naloxone, which is also sold under the brand name Narcan. Anyone in Minnesota can carry naloxone, which doesn't get people high and isn't addictive. It's available in nasal sprays or injections. It's available through doctors, some treatment centers or needle exchanges and even at some major drugstore chains without a direct prescription. Naloxone can be used on people even if an overdose isn't confirmed because it wouldn't necessarily be harmful. In an effort to prevent more overdose deaths, that law also includes a "Good Samaritan" provision that gives limited liability against criminal prosecution to people who call 911 to report an overdose. Opioid death rates in Minnesota aren't highest in the population centers of Hennepin or Ramsey counties -- they're highest in rural Mille Lacs and Cass counties, where emergency responders are more spread out and medical treatment can be difficult to reach.